2013 will be the year of solar thermal energy development in Croatia. With the entry into the European Union, the Croatian state will have to adapt their national legislation to EU rules. An important aspect will be the environmental legislation where, an important issue regards the subsidy for installation of solar panels. This is based on the experiences of Bulgaria and Romania which after the EU accession have adopted such programs as part of domestic law. More over the good cooperation between Croatia and Germany and the interests of German companies will lead to pressure in favor of such legislation. Even the population has high expectations about this aspect. Market seems to be prepared. 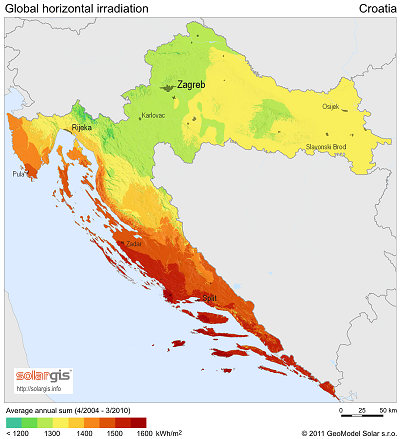 Is missing just the support scheme in order to find Croatia on the solar maps of Europe.